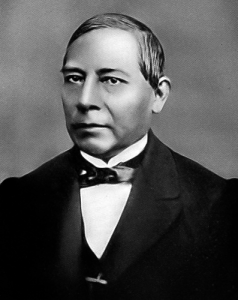 A former moderate governor, Benito Juarez had become a radical when he was deported by President Santa Anna, who was angry that Juarez had not offered shelter in his state when liberal forces were attempting to oust the dictator following the embarrassing defeat in the Mexican-American War (1846-48). 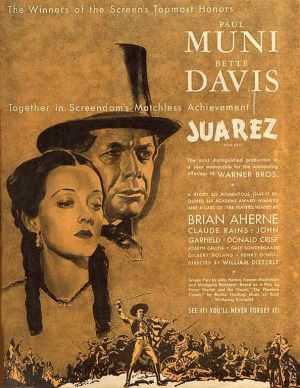 After barely scraping by in the United States, Juarez joined the rebels in Mexico shortly before Santa Anna was overthrown in 1855, and became minister of justice in the new government. Juarez introduced laws that greatly weakened the clergy, while the minister of finance nationalized the property of the Catholic Church. Refusing to meekly accept their reduction in power, the Catholic clergy persuaded several generals to launch a coup d’etat in 1858. Since the president had been overthrown by the conspirators, as chief justice, Juarez was authorized to serve as president until a new president was elected. 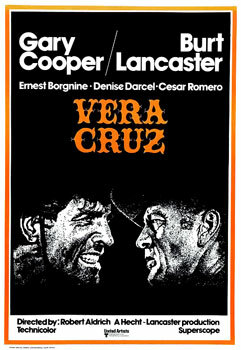 He made his way to Vera Cruz, where he found enough liberal support to establish a new government. The state of civil war between the government in Vera Cruz and the government in Mexico City became known as the War of Reform. Unlike the more flamboyant generals who usually sought personal power, Juarez was a soft-spoken but extremely determined individual, who proved to be very skilled at balancing the opposing members of his government. The republican cause was hampered largely by the difficulty in persuading professional generals to lead the army. 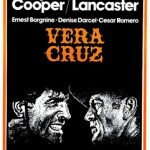 Aware of the need to avoid British intervention, Juarez protected the property of British residents in Vera Cruz. Control of the port of Vera Cruz enabled the liberals to raise funds by taxing foreign trade, while his opponent President Miguel Miramon had trouble funding his government, even though the clergy was so committed to his victory that they had sold the gold and silver in the churches. Although the Conservatives forces initially had the advantage because they were led by professional officers, the Liberals gradually developed skilled generals, and defeated Miramon near Mexico City on December 22, 1860. To the surprise of the conservative leaders, Juarez did not carry out mass executions, largely because the leaders with the greatest guilt had already fled to other nations. Juarez won election as president of the republic by a significant majority when elections were held, but the republican government was not completely secure. Although Miramon’s armies had been defeated, conservative General Tomas Mejia remained defiant in his mountain stronghold in the Sierra Gorda, while guerrillas under General Leonardo Marquez still operated and had defeated two badly-led liberal armies sent to punish them. General Jesus Gonzalez Ortega, with General Porfiro Diaz as his second-in-command, finally broke the guerrillas but failed to catch Marquez. Other problems were not as easily solved. Both the liberal and the conservative governments had run up debts, and the major powers expected those debts to be repaid. A key debt was a loan that had been issued to Miramon’s government by Jean Baptiste Jecker, a Swiss national, who had operated a banking house in Mexico City. Aware that a victorious republican government would balk at the loan’s outrageous interest rate, Jecker won the support of the Duc de Morny, the illegitimate half-brother of Napoleon III, Emperor of France, in exchange for 10% of the loan. Remaining in the background, Morny persuaded a syndicate of investors to buy the currently worthless bonds, and then considered how to ensure payment. The Mexican liberals were understandably unwilling to settle the debts of a regime that had repressed them, but Juarez knew there was no choice. He persuaded the British minister to cancel part of the debt and to extend the deadline for repayment. However, the French minister was less understanding and the Mexican congress soon ran out of patience, refusing to pay interest on foreign debts. Since the United States was involved in its Civil War (1861-1865), it would be unable to enforce the Monroe Doctrine, therefore it would be too busy to prevent foreign interference in Mexico. The defeat of Mexico during the Mexican-American War had convinced Gutierrez de Estrada, a die-hard conservative, that a strong leader was needed to defend Mexico against the aggressive Anglo-Saxons in the north. Gutierrez had become a leading proponent of the idea of attracting a constitutional monarch who would bring order to Mexico, and he searched Europe for a noble who could play this role. Unfortunately, the Austrian, Spanish and British governments refused to become involved in Mexico. 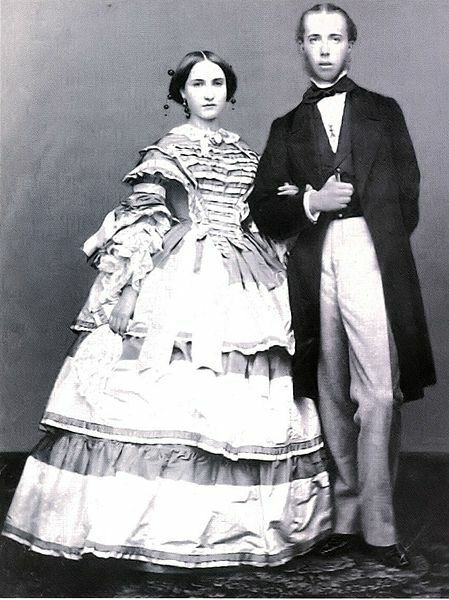 Gutierrez’s efforts began to bear fruit when Jose Hidalgo, a former Mexican diplomat and fellow monarchist, attracted the interest of Eugenie, a pious Catholic and the wife of Napoleon III. While the British and Spanish governments were debating sending ships to seize the customs house at Vera Cruz in order to ensure repayment of the former regime’s debts, Eugenie arranged for Hidalgo to meet with Napoleon III. 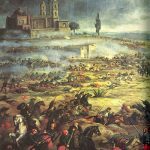 Viewing Mexico’s debt crisis as an opportunity, Napoleon was willing to send an army to place a European prince on the throne but it had to be a Catholic prince acceptable to all of the great powers. After some discussion, he decided to offer the throne to Archduke Maximilian, younger brother of the Emperor of Austria-Hungary. Napoleon failed to notice that Mexico lacked Europe’s plethora of aristocrats who would support a monarch, and that it was located next to a giant republic. When Franz Joseph replaced his dim-witted uncle as Emperor of Austria-Hungary after the revolutionary uprisings of 1848, his brother Maximilian became commander of the Austrian navy, and ordered the construction of a new shipyard capable of producing armoured, steam-powered warships. An offer to play a greater role in the operation of the empire was politely rejected by his older brother. Instead, he was sent off on goodwill tours of European capitals to find a bride with suitable royal blood. 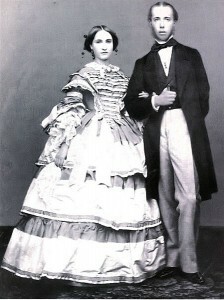 Maximilian married Princess Charlotte, daughter of King Leopold of Belgium. A prince of a minor German state, Leopold had been offered the crown of the newly-formed state of Belgium in 1831. Ruling as a constitutional monarch, who genuinely listened to his elected ministers, Leopold had managed to win stability for the new state. 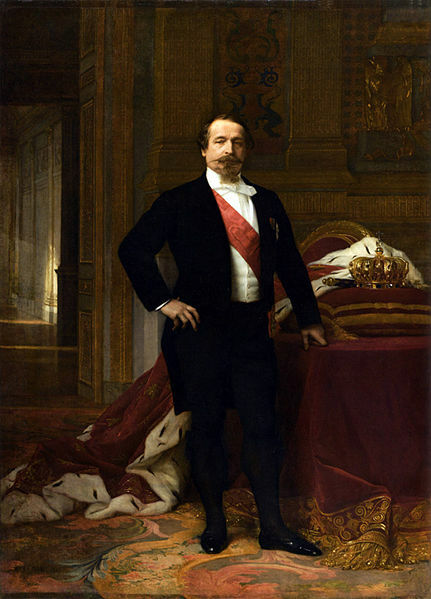 Shortly after their marriage in 1857, Maximilian was made viceroy of Italy but his minor liberalism was too much for the emperor, and he was dismissed as viceroy in 1859 when Napoleon III of France and King Victor Emmanuel of Piedmont attacked Austria to gain territory in Italy. The war went badly for Austria, but Napoleon feared that the strain of a major conflict would lead to more revolution and accepted a compromise peace. In October 1861, the British, French and Spanish governments signed a Tripartite Convention where they agreed to send a joint fleet to seize the customs house at Vera Cruz and apply the customs duties to repay their debts. It would not be hard to ensure that negotiations with the Mexican government would fail, thus giving the three powers an excuse to overthrow Juarez and make Maximilian emperor. Napoleon wisely did not tell the British and Spanish governments of his plans for Maximilian, but he did make discreet overtures to Emperor Franz Joseph. Although the Austrian emperor permitted the throne to be offered to Maximilian, he informed his younger brother that Austria would not be involved in the scheme. Furthermore, he personally advised Maximilian that he should ensure that he had the firm support of all three powers and that the Mexicans would actually welcome him as emperor. No longer viceroy or heir to the throne, since his sister-in-law had produced a child, Maximilian had begun to chafe, since he had been raised to value duty and serving the empire. Strongly encouraged by his wife, Maximilian accepted the offer, but the British government refused to commit any troops or money to putting him on the throne. The Spanish, British and French fleets had reached Vera Cruz by early January 1862. After winning approval to rule by decree during the emergency, Juarez raised an army to evict the foreigners. 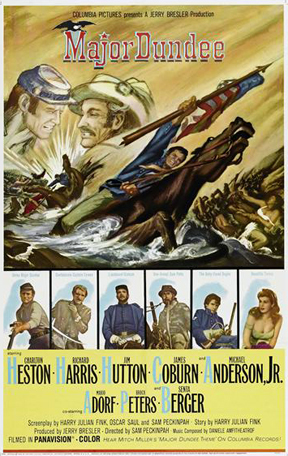 The inhabitants of Vera Cruz were instructed to not cooperate with the foreigners, who found it hard to obtain supplies, while fears of yellow fever proved true. The British claims dwarfed those of their allies but the French ambassador made outrageous demands which even the British and Spanish thought were unfair. Unknown to the British and Spanish ambassadors, Pierre Alphonse Dubois de Saligny, the French ambassador, had been instructed by Napoleon to provoke the Mexican government until it overreacted. As a gesture of good faith, Juarez allowed the foreigners to move into the interior, where there was less chance of disease, but he still prepared to fight if negotiations broke down. Meanwhile, representatives of the conservatives were conspiring with the French ambassador to lure Juarez’s generals away. The British and Spanish ambassadors had convinced Saligny to not send his ultimatum since it would undoubtedly hamper negotiations. Admiral Jurien de la Graviere, the commander of the French military contingent, had dismissed Saligny’s protests and agreed with the other ambassadors to recognize Juarez’s government in order to be able to proceed with the negotiations in good faith. Napoleon’s plan became clear in late March when he recalled Admiral Jurien and ordered General Count Charles Ferdinand de Lorencez, his replacement, to submit Saligny’s ultimatum. If, as expected, it was rejected, then the French army was to march on Mexico City. On April 9, the British and Spanish representatives informed Saligny that since the French were obviously plotting with conservative opponents of the liberal government, they were withdrawing from the joint operation. General Lorencez and Ambassador Saligny issued a proclamation where they announced that France had come to end Mexico’s troubles. 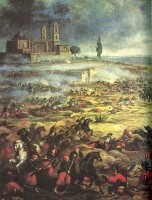 After sweeping through a Mexican army sent to block their path on April 28, the French disregarded the warning of Mexican advisors and made a frontal assault on the fortified town of Puebla on May 5, Driven off with an embarrassing number of casualties, the French retreated to Orizaba, and Juarez declared the Fifth of May a national holiday. The holiday was not celebrated in Puebla, since most of the residents were conservative supporters and had hoped the French would win. Marquez and 2,500 guerrillas reached Orizaba but 12,000 republican soldiers appeared. A skirmish that turned into a humiliating defeat for the Mexicans reminded them that the French army was a dangerous opponent, and they remained content to wait. Napoleon was furious when he learned of the humiliation at Puebla, but the defeat swung public opinion behind him. Determined to avenge the loss, he sent 20,000 men under General Elie Forey to Mexico. Forey was instructed to protect Mexicans who welcomed the French and allow them to choose their own government, but he could suggest that they choose a monarchy. The British foreign minister said that the British government would not interfere but warned Napoleon that the plan was unlikely to succeed. Meanwhile, Maximilian still debated whether he should accept the offer. Charlotte was strongly in favour and would repeatedly press him to agree. Although the Mexicans avoided a direct battle, any French units that left the main force were ambushed while Mexican collaborators were killed. Since the Catholic Church had sided openly with the French, Juarez’s government continued to take away their power. The Union had blockaded the Confederate ports in an attempt to strangle the rebels, but the southerners were able to trade by sending goods through Texas to the Mexican port of Matamoros. This trade conduit could only be stopped by blockading Mexican waters, which would be an act of war. Realizing that the abolitionist North, not the slave-owning South, would treat Mexico better in the long run, Juarez had resisted Confederate President Jefferson Davis’ offer of diplomatic relations. Although President Abraham Lincoln appreciated the gesture, he also knew that it was vital to ensure that France and Britain did not recognize the Confederacy, so he and Secretary of State William Seward decided that they would not assist Mexico if the French did not recognize the South. Seward also resisted attempts by liberal republics in South America to call a pan-American congress that would announce support for the Mexican government. On every possible opportunity, Seward insisted that the United States would remain neutral in Mexico. Aside from denying the republican government moral support, this policy meant that liberal supporters in the United States would be prevented from sending weapons to Juarez’s government. Instead of breaking relations with the United States, Juarez decided to create support for the Republic of Mexico within the Union by lobbying key members of the Republican Party and Congress. By February 1863, there were more than 24,000 French troops in Mexico, plus Marquez’s 2,000 men. Forey had discovered that the climate was the greatest threat and had placed Foreign Legion troops in the areas with the most danger of disease, preferring to sacrifice foreigners rather than Frenchmen. Realizing that the pro-Juarez guerrillas had to be dealt with to protect his supply lines, he formed the contre-guerrilla corps under Colonel Du Pin, an experienced French officer. Some of the members of the corps were Mexicans, most were foreigners, and all were tough. Du Pin quickly spread terror among the guerrillas by refusing to take prisoners. Juarez had assembled an army of 20,000 men at Puebla, which included volunteers from the United States and Europe, who wanted to fight for republicanism, since the republic revolution of 1848 had been brutally repressed in numerous European monarchies. The defences had been strengthened but Forey was a better commander than his predecessor. After shelling the town for four days, he attacked one of the main forts that protected the town on March 27, and captured it after two days of intense fighting. 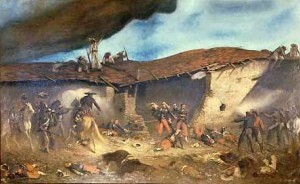 Instead of surrendering, the Mexicans fought house by house until the heavy casualties forced him to stop the assault on April 11. Since none of Forey’s officers had a better strategy, the street fighting continued. Napoleon needed a victory because the election for the French legislature would take place on May 31. Another republican force was destroying all crops near the French to deny them supplies, so Forey assigned French Foreign Legion troops to guard supply caravans. One convoy was escorted by Captain Danjou and 64 legionnaires when they were attacked on April 30 at Camerone by hundreds of Mexican guerrillas. The legionnaires sought refuge in a barn and fought all day, refusing every offer to surrender. The final five men made a bayonet charge but were taken prisoner, although two later died of their wounds. The battle is commemorated by the Foreign Legion every April 30. Having learned his trade while fighting guerrillas in Algeria, French General Achille Bazaine skilfully transported the same fighting style to Mexico, realizing that manoeuvres by large bodies of men would not be needed in Mexico. A French army under Bazaine, aided by Marquez’s men, surprised the republican force that was harrying their rear on the night of May 7-8, and routed the entire force. Realizing that there was no possibility of relief, Ortega told his men to try to escape and then surrendered on May 17, after a siege that had lasted sixty-one days. Some Mexican troops did escape but 12,000 ended up as prisoners. 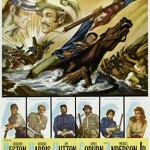 Five thousand agreed to join Marquez, while the rest were dispatched to work on the railway being built from Vera Cruz. The 1,500 officers were shipped to France but Forey refused to send enough guards, so only 530 actually reached France. The rest, including Ortega and Porfiro Diaz, escaped. News of the victory arrived too late to prevent the liberals from increasing their numbers in the French legislature. Juarez wanted to keep fighting but his generals said that there were not enough troops left to resist the French, so the capital was abandoned. The government moved to San Luis Potosi, 200 miles to the north. Forey made a triumphal entry into Mexico City on June 10. Although General Mariano Salas, an elderly Conservative, was appointed head of a provisional government, the real power remained with Forey. He had been told to restore the pre-eminence of the Catholic Church but to also urge the church leaders to adopt a more tolerant policy. Press freedom was allowed but newspapers could be closed down if they ignored warnings by the government. The French army settled in and numerous marriages between officers and soldiers, and local women soon followed. Napoleon had hoped to win the support of the moderate liberals, but the decision to restore the Spanish titles of the nobility ensured that he would not gain their support. Since all of the foreign ambassadors had remained in Mexico City, Juarez knew that his government would no longer be recognized as the legitimate government of Mexico. 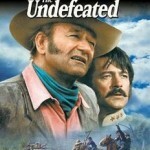 Worse, the liberal leaders that went with him found it difficult to maintain a united front. The French occupation of Mexico City was starting to swing American public opinion behind Juarez but the government’s official policy had not changed. On the surface, the situation appeared calm. Forey appointed a junta of 35 Mexican notables, almost all conservative. The junta then selected 231 conservatives to form an Assembly of Notables which dutifully voted on July 10, 1863 to offer the position of emperor to Archduke Ferdinand Maximilian of Austria. Maximilian believed French claims that they had been welcomed as liberators. They had not. Aside from a solid grip of the area between Vera Cruz and Mexico City, the rest of the country did not accept the French, and guerrillas still plagued the French in areas they supposedly controlled. Despite ruthlessly hanging any guerrillas they found or anyone suspected of supporting guerrillas, the French failed to stamp out resistance. Learning that Forey and Ambassador Saligny were helping the clergy repress the people, Napoleon replaced Forey with Bazaine and recalled the ambassador to France. Bazaine followed Napoleon’s orders and compelled the conservative government to repeal the most repressive religious degrees. Bazaine would not back down against the clergy and won a battle of wills against Archbishop Labastida, who had threatened to excommunicate anyone who worked for the regency. Labastida was forced to retreat when Bazaine positioned artillery in front of the largest cathedral in Mexico City and threatened to open fire unless his troops were permitted to attend Mass. As Maximilian continued to iron out the details of his new position, his brother informed him that there should be no connection or even mention of Austria in any of the documents legalizing the coronation, since this was Maximilian’s personal affair. Privately, Franz Josef was concerned that Maximilian had not obtained the promises of British support for his regime, and doubted that Napoleon would keep his army in Mexico long enough to make Maximilian secure because he would not want to risk war with the United States. 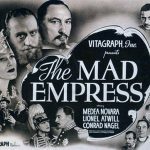 Despite the promises of the conservative government’s representatives, Maximilian worried that he would not be accepted by all of Mexico but the prospect of becoming an emperor was so attractive that he overrode his natural caution. Instead of examining the situation carefully, he took the small number of notables seriously and focused his energy on setting the exact order of court ceremony, including which aide would be responsible for taking his hat whenever he entered court. Aware that more of the country needed to be pacified, in November Bazaine sent Generals Marquez and Mejia to each lead an army to drive Juarez out of the north. The republican forces proved unable to stop them, so Juarez had to move his government further away. The advance was aided by Bazaine’s announcement that liberal soldiers that surrendered could join the Franco-Mexican army with the same rank. Several republican generals even tried to persuade Juarez to resign but he refused. After gaining control of most of the country, the French arranged for a referendum to be held on whether or not to offer the crown to Maximilian. Juarez ordered that the referendum be boycotted, but a majority of people living in French-held towns voted yes. The final results were 6.4 million out of the 8.6 million population voting yes, which was simply impossible since the referendum was not even held in several parts of the country. However, the results did convince Maximilian to accept the offer. Maximilian and Charlotte went to Paris in March to make the final arrangements with Napoleon, who promised that France would keep 25,000 soldiers in Mexico for three years and 8,000 troops from the Foreign Legion would stay for eight years, although Maximilian would have to pay for the troops. To Franz Josef’s surprise and irritation, Maximilian refused to sign away his right of succession to the throne. Angered by his brother’s position, Maximilian suddenly decided to refuse the offer several days before the ceremony was planned, which led to a flurry of urgent and diplomatic letters. After a great deal of private arm-twisting, Maximilian finally agreed to renounce his claim to the throne. On April 10, 1864, a group of Mexican representatives formally offered the throne of Mexico to Archduke Maximilian, who agreed to rule as a constitutional monarch and would provide the Mexican people with a liberal constitution once the Juarista rebellion had been put down. Maximilian then signed the Treaty of Miramar with France. The strain of the diplomatic events and the knowledge that he was leaving his home and abandoning his claim to the Austrian throne caused him to collapse with exhaustion. His personal doctor had strongly opposed Maximilian’s decision, saying that his health was not strong enough. Maximilian recovered several days later, but the attack should have been a sign that he was not ready for the coming challenge. Maximilian spent the voyage across the Atlantic producing a 600-page handbook on etiquette and ceremony in his court. When the ship arrived in Vera Cruz in late May he was surprised that aside from the official ceremony, there was no popular welcome. In fact, there was no sign of enthusiasm until they reached Peubla, which was a conservative stronghold, and there was an even better reception in Mexico City. Maximilian and Charlotte managed to charm most of the people they met, even republicans, partially because they had taken the trouble to learn Spanish. Although his expensive, lavish balls were popular, his sarcasm and occasional lack of tact were less so. While Maximilian routinely cheated on his wife, there was little doubt that the two of them genuinely loved each other. In fact, he trusted Charlotte enough for her to serve as regent whenever he traveled away from the city, and his ministers came to appreciate her sharp intelligence, which was considered to be greater than that of the emperor. Although the French had agreed to train Maximilian’s Mexican army, they were limited by the Mexican government’s inability to pay the soldiers a decent wage. Mexico’s finances were already in bad shape before Maximilian arrived, but the cost of his household and balls quickly doubled the debt. Most of the European powers soon recognized Maximilian’s government, and although he did not recognize the Confederacy, the Union government still refused to recognize his regime. However, pressure in the United States was growing that the government should not just remain neutral but actively aid Juarez. Maximilian naturally hoped that Lincoln would win the 1864 election, since his opponent, General George McClellan, had vowed to help Juarez drive the French out of Mexico. Despite the urgings of his more practical-minded wife, Maximilian was still more concerned with the details of the court and building a new castle at Chapultepec, just outside the city, rather than the humdrum administration of Mexico. He believed that the people could not accept him as their emperor unless he actually had a court and a castle fit for an emperor, which would be a key problem. Although initially hopeful that an arrangement could be produced, Maximilian realized that Juarez and his die-hard supporters would never accept his regime, but his efforts to win the support of the moderate liberals did produce some results. The clergy and the conservatives were disappointed that Maximilian did not overturn Bazaine’s decrees. Despite the intervention of a papal nuncio who pressed for the Catholic Church to be given back its dominance in Mexico, Maximilian declared that while Roman Catholicism was the official religion of Mexico, other religions would be tolerated and Juarez’s seizure of church land would be upheld. Aware of the clergy’s habit of fostering rebellions, Maximilian even sent Marquez and Miramon, the two most conservative generals, out of Mexico to deprive the clergy of their support. Meanwhile, the offensive against Juarez continued, and the republicans were driven out of Monterrey, Saltillo and the thriving port of Matamoros in September 1864. These defeats drove more of Juarez’s supporters to change sides. Oaxaca, commanded by Porfiro Diaz, remained stubbornly republican, so Bazaine personally led a major campaign against the region. Diaz held out for a month but as a steady stream of men deserted and his supplies ran out, he finally surrendered on during the night of February 8/9, 1865. Imprisoned, Diaz escaped and rejoined Juarez, but Maximilian now officially controlled most of Mexico. Only four out of twenty-four provinces remained independent, and Juarez had lost his last port. However, the victories increased the desire of the French people for the troops to come home. Furthermore, guerrillas dominated the countryside, making it dangerous to leave any French-controlled area. Du Pin’s contre-guerrillas were kept busy but failed to eliminate the guerrillas as a threat. Du Pin’s harsh methods and refusal to actually try any captured guerrillas but simply hang them angered moderate liberals, who pressured Maximilian into sending Du Pin home and replacing him with Colonel Gaston de Gallifet, who proved to be equally tough. The continued existence of guerrillas worried Maximilian. However, Belgian and Austrian volunteers were beginning to arrive, and there were 1,500 Belgian volunteers and 7,000 soldiers from the Austro-Hungarian Empire in Mexico by the spring of 1865. The Belgians had come to defend their princess, Charlotte, but they discovered that war in Mexico was much deadlier than they had expected. Since Bazaine was desperate for more troops, he sent the inexperienced Belgians into the countryside with the predictable result that they were sliced up by guerrillas. Much more serious was the nearly empty treasury, as Maximilian learned shortly after the victory at Oxaca. Since Maximilian had promised to pay for every French soldier, the French simply collected the customs revenue to recoup the cost, thus depriving the emperor of his most lucrative source of income. Furthermore, far too many positions in the civil service were held by the French, not locals, which naturally weakened public support of the emperor. To be fair, Maximilian was not a French puppet, and he refused to give the French a ten-year lease of the mineral-rich province of Sonora, realizing that they would simply empty it of its resources. News of General Robert E. Lee’s surrender at Appomattox on April 9, 1865 and the fall of the Confederacy made Maximilian and his government worry that the United States government would now be free to support Juarez. Lincoln was expected to continue to remain neutral but he was assassinated shortly after the end of the war. However, Seward still opposed intervention and Andrew Johnson, Lincoln’s successor, did not press for a change in policy. The French thought that Mexico had been pacified but guerrillas suddenly started attacking towns all along the coast. The ease with which guerrillas evaded patrols sent to catch them made some French officers wonder if every republican officer had fully changed allegiance when he agreed to serve Maximilian. By this time, Napoleon was regretting his decision to become involved in Mexico. The resistance was much more entrenched than previously believed, Maximilian had a weak personality and the north had emerged from the Civil War stronger than expected. Concerned about Prussian ambitions, he began to wonder if the 40,000 troops in Mexico might be better employed guarding France. However, Napoleon had placed so much of his prestige on the plan that he did not want to see Maximilian overthrown by Juarez. Both Austria and Belgium stopped sending recruits to Mexico. 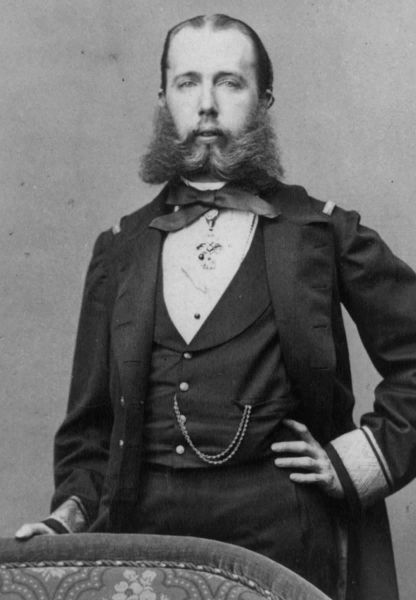 The Austrian emperor needed all of his forces to face a very likely war with Prussia, and King Leopold II, Charlotte’s brother, who had assumed the throne in December 1865 following the death of their father, wanted to devote Belgian resources to exploiting colonies in Africa. Seward still refused to recognize Juarez or pressure the French into leaving but he would also not recognize Maximilian. At the same time, soldiers from the defeated Confederacy were moving into Mexico, seeking employment, and the largest group was led by General Jo Shelby. Confederate leaders had tried to persuade Maximilian to permit large-scale emigration of Confederates to Mexico but he refused to accept any as soldiers because he still hoped to establish good relations with the United States. A number of Confederates were allowed to establish colonies. Bringing in former slave-owners who would be permitted to have forced labor for periods of five to ten years was naturally a propaganda boost for Juarez. Another public relations disaster was Maximilian’s decision to adopt the grandson of Iturbide, the first Mexican emperor, as his heir, since he and Charlotte had acknowledged that they could not have a child. This decision managed the impressive feat of angering both sides. The liberals had hated Iturbide while the conservatives were angered because the family had not lived in Mexico for the last forty years. Maximilian compounded the problem by exiling the boy’s natural mother from Mexico when she changed her mind and decided to keep her son. 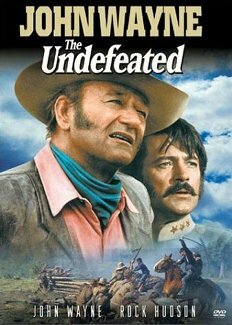 Ulysses S. Grant, William Tecumseh Sherman and Phil Sheridan were the greatest military heroes of the Union, and both Grant and Sheridan were strong advocates of supporting Juarez against the French. 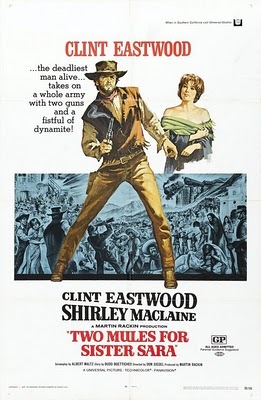 Using the excuse that a force of Confederate holdouts was rumoured to be operating near the border of Mexico, Grant sent Sheridan with 42,000 men to patrol along the American side of the Rio Grande in May 1865. This operation was intended to intimidate the French and it succeeded. Bazaine was ordered to move all of his troops back from the border to avoid giving the Americans an excuse to invade. Seward quickly reassured Napoleon that Grant would not be allowed to move across the border. The French emperor was naturally confused by the mixed signals from the United States, but his desire to disentangle himself from a potentially dangerous situation in Mexico continued to grow. Soon after, Juarez moved the government from Chihuahua to El Paso, near the American border, and a thousand miles from Mexico City. Even though the Civil War was over, Seward continued to forbid the shipment of weapons from the United States to Juarez’s forces. However, Seward was unable to stop Grant from telling Sheridan to supply Juarez with weapons from federal arsenals. Maximilian made his final error on October 3, 1865 when he announced the Black Decree, which stated that anyone caught armed would be executed within twenty-four hours with no right to appeal. The Mexican conservatives approved of the decree but it was condemned in the United States. Two republican generals were captured and executed soon after the decree was announced. Despite the criticism, far more people were executed before the decree than after but it did not help Maximilian’s image abroad. Napoleon wanted to pull out of Mexico but did not want to lose face, so he allowed himself to be persuaded to schedule it over a period of 18 months, publicly declaring victory while privately washing his hands of the affair. On January 22, 1866, Napoleon announced that since Maximilian had become strong enough to stand alone France would gradually withdraw troops, and all French soldiers would be out of Mexico by October 1867. Juarez knew that the war was won since he could easily beat Maximilian if he was not backed by the French, and the Mexican troops loyal to Maximilian knew it, so they began deserting to the republicans. The Austrian and Belgian units would not be enough on their own, especially since veterans of the Union army were joining Juarez, motivated by generous wages and a desire to fight for liberty. Since it was clear that the French would leave soon, Bazaine permitted the formation of a Mexican army with the Austrian troops as its core. A number of French officers, lured by high rank and pay, resigned from the French army and joined the Mexican army, but it was started too late, and the Juaristas continued to grow in strength. Both Maximilian and Juarez were recruiting in the United States but Seward had been pressured by public opinion to take a stronger line against the French, so Maximilian’s recruiting was discouraged. In fact, Seward even persuaded the Austrian government to prevent more volunteers from serving in the Mexican army, which Maximilian bitterly resented. Charlotte traveled to Europe in July 1866 to try to personally change Napoleon’s mind but she failed, since the speedy defeat of Austria during the Austro-Prussian War (June 14-August 23, 1866) had made him realize that France was next on Prussian Chancellor Otto von Bismarck’s to-do list. 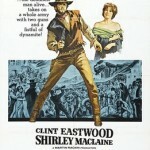 Actually, it had taken a great deal of perseverance and humiliating insistence to even convince him to agree to see her. Since Napoleon thought that Maximilian should simply abdicate and Charlotte failed to take notice of the overriding concern of the French for dealing with Bismarck, it should not be a surprise that Charlotte left the meeting extremely disillusioned by his lack of support. A second meeting where she simply barged into his residence was also fruitless. Her mind had begun to weaken and she slipped into insanity. After finally obtaining an audience with Pope Pius IX, Charlotte completely lost her composure and pleaded for sanctuary, since she was convinced that her servants were poisoning her. Her brother, King Leopold of Belgium arranged for her to receive treatment, which had little effect, so she remained in Europe. Maximilian knew that Napoleon wanted him to take the easy route and return to Europe but he felt that he would dishonour the Habsburg line. This attitude had been firmly supported by Charlotte before leaving Mexico, since she had grown up surrounded by courtiers bitter about her grandfather abandoning the French throne. Torn between duty and self-preservation, Maximilian toyed with the idea, making plans to abdicate and then changing his mind. Two Austrian frigates had even been sent by his brother to bring Maximilian back to Austria. The conservative faction worked hard to make it seem that the Mexican population genuinely wanted Maximilian, by arranging for enthusiastic crowds to appear when he visited a town, and he was convinced but he should have realized that his armies were not growing, no matter how much people cheered. After a seemingly endless delay, Maximilian finally decided to not abdicate but he paid little attention to the task of building a new army. However, time was running out as provinces and towns were falling to republican forces. By the end of 1866, Maximilian only controlled Vera Cruz, Orizaba, Puebla, Mexico City and Queretaro. 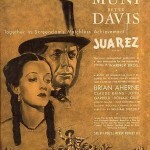 A daring attempt was made to capture Juarez when he was in a town with a small garrison but he managed to escape in time. When the French marched out of Mexico City on February 5, 1867 they left without the emperor because Maximilian had refused Bazaine’s offer to come with them. Three thousand Austrian and Belgian volunteers had made the decision to return to Europe as well, further weakening Maximilian’s army. Instead, Maximilian traveled to Queretaro on February 19 where he intended to gather his army and lead it against the republicans, even though he was badly outnumbered. He only had 9,000 men in the city and it was soon besieged by 35,000 republican soldiers. Despite the regular bombardment of the town, Maximilian believed in maintaining the image of an emperor and would stroll through the town to show the citizens that he was not concerned. Puebla was captured by Diaz on April 2, and although the soldiers were set free, all of the conservative officers were executed under the decree of January 25. Led by Marquez, the last army loyal to Maximilian still in the field was beaten badly on April 10 and the remnants holed up in Mexico City. Since Marquez had been marching to relieve Maximilian, there was no longer any hope for the emperor. Maximilian was planning to escape through the enemy lines with a few trusted aides but he woke up in the night of May 14/15 to learn that republican soldiers had already seized the town. One of his officers had let them in. Maximilian expected that he would eventually be set free and allowed to return to Austria. However, he would be tried for treason against the Mexican Republic, since he had aided an invading army and he had accepted the title of emperor. Maximilian was genuinely surprised that a court believed it had the authority to try an archduke. One of Maximilian’s loyal supporters, Princess Salm-Salm, tried to bribe the officers responsible for guarding the emperor to let him escape but they turned down the bribe. The trial commenced on June 13 but Maximilian was too ill to attend. The jury declared on the second day that Maximilian and his two top generals were guilty, and they would be executed by a firing squad on June 16. Juarez refused to pardon Maximilian because the people of Mexico deserved justice after several years of occupation and even if he returned to Europe, conservatives would use him as a symbol to rally around. Believing that the United States had the most influence with the Mexican government, several European powers, including Austria and Prussia, pressed Seward to ask Juarez to pardon Maximilian. American newspapers also called for him to be pardoned. Although Seward agreed to speak on Maximilian’s behalf, he did not make any concrete efforts to do so. 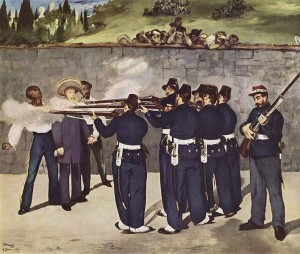 Maximilian, Miramon and Mejia were executed by a firing squad on the morning of June 19. In total, only Maximilian and five of his generals were executed by the victorious republicans. Vera Cruz surrendered the same day, but Mexico City held out during a long siege where fifty people were starving to death every day towards the end. Following Maximilian’s death, the Austrian troops would no longer fight, so Marquez surrendered on June 20. Maximilian’s body was returned to his native Austria. 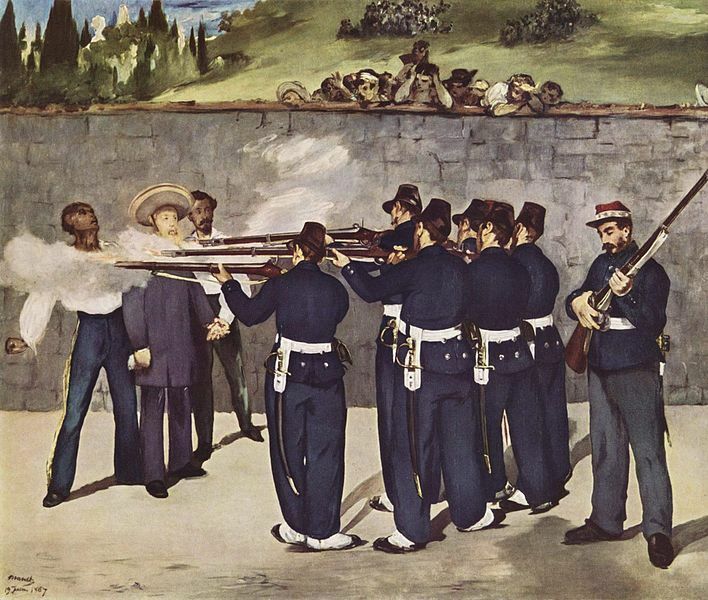 Shocked by the execution of a member of a royal family, the European nations were initially unwilling to negotiate with Juarez’s government, but trade with Mexico was too important. Prussia was the first to recognize Mexico in 1869, and the rest of Europe soon followed. Seward was happy to claim that his skilful negotiation had persuaded the French to leave Mexico gracefully, but Sheridan’s large army on the Rio Grande had undoubtedly provided the French with an incentive to leave sooner rather than later, therefore credit should go to Grant and Sheridan. Maximilian and Juarez-Jasper Ridley, New York: Tickner & Fields, 1992. Ridley has produced a solid, well-researched examination of the French Intervention in Mexico that explains how Napoleon had conceived of the adventure and showing why Maximilian blinded himself to the near-total likelihood of failure. The Cactus Throne: The Tragedy of Maximilian and Carlotta-Richard O’Connor, New York: G. P. Putnam’s Sons, 1971.